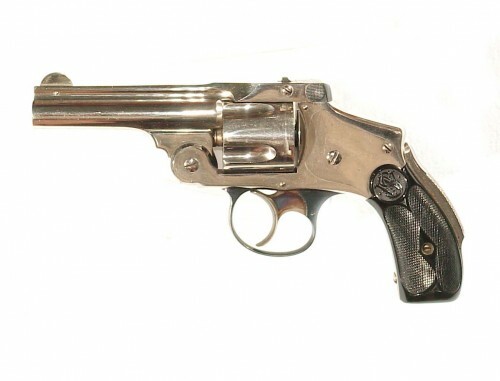 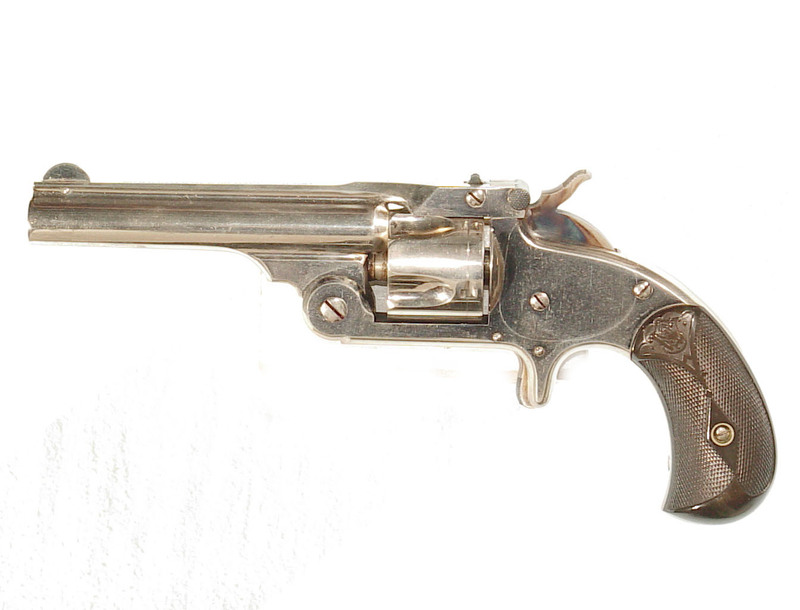 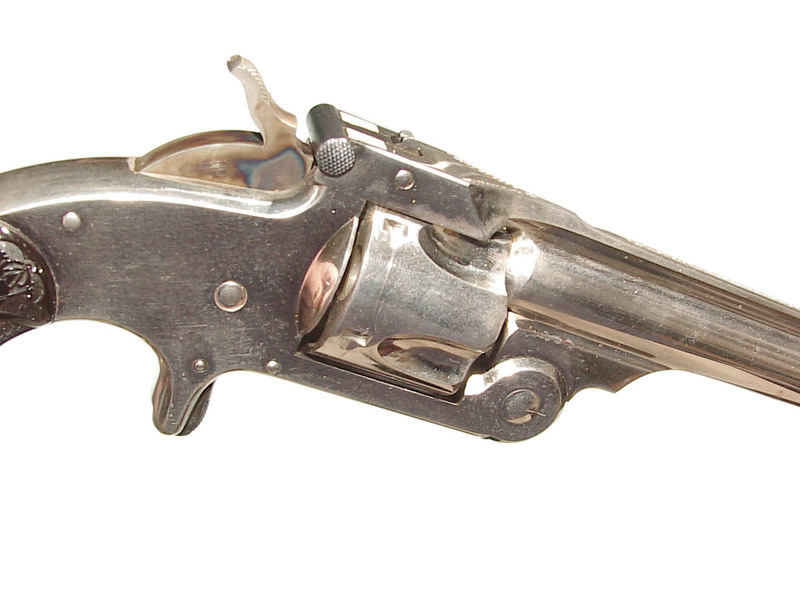 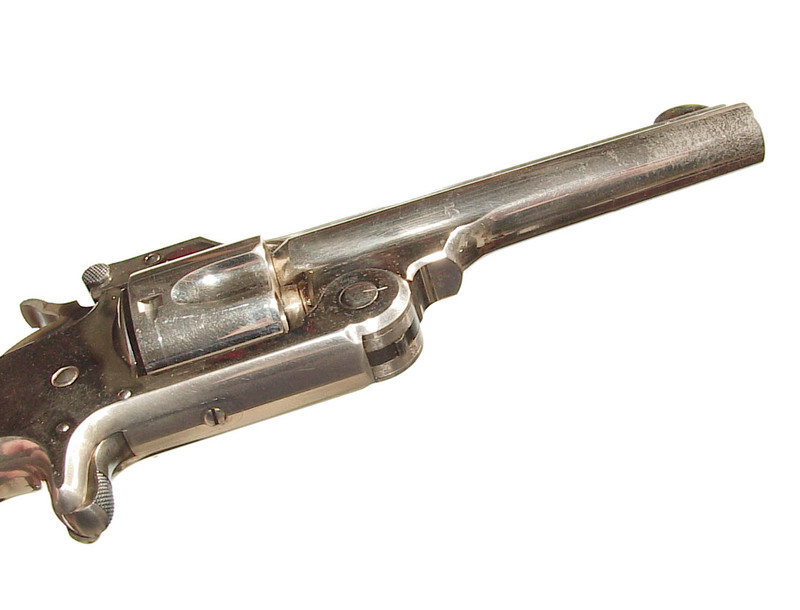 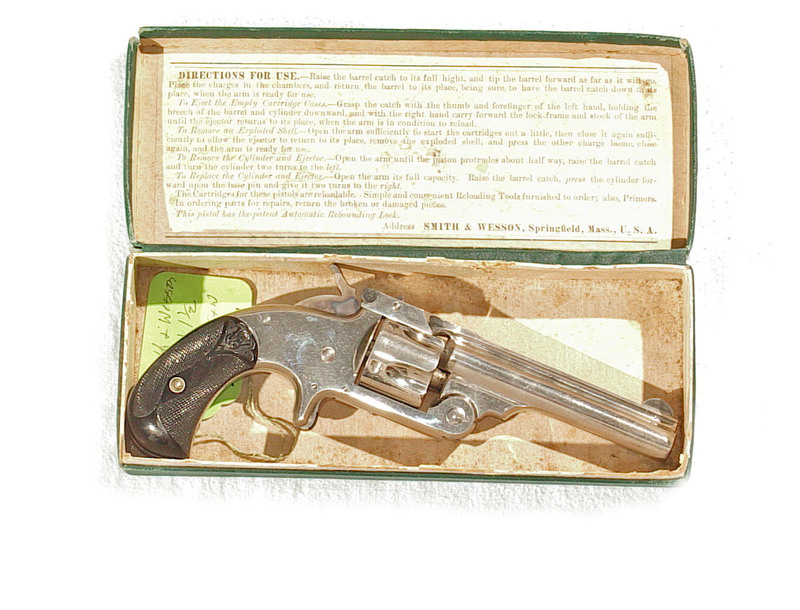 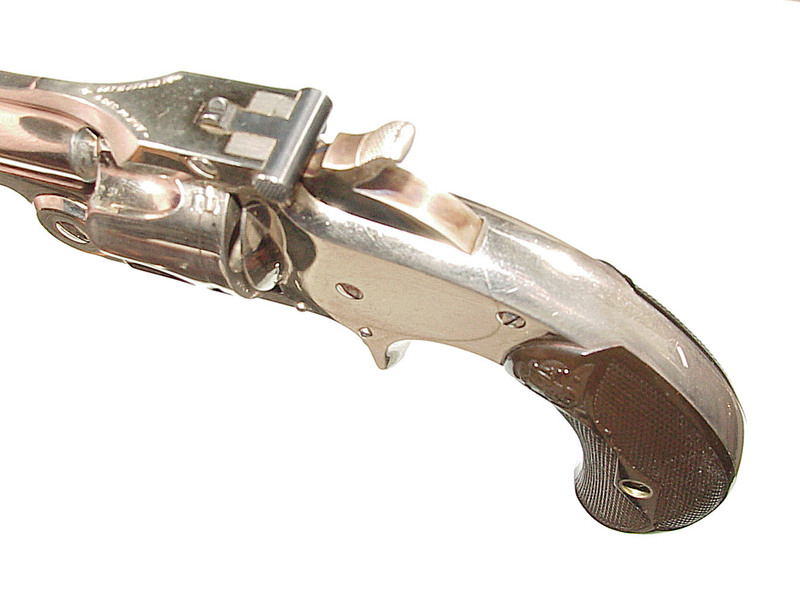 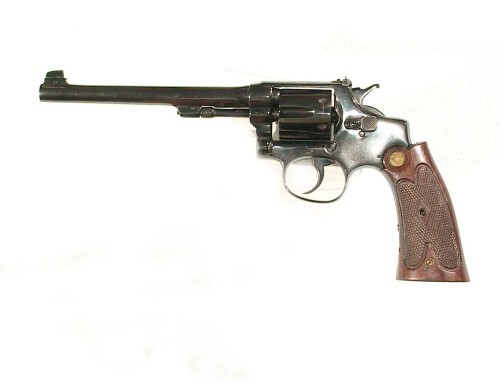 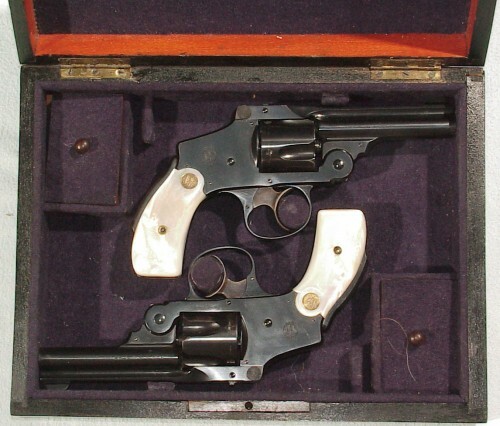 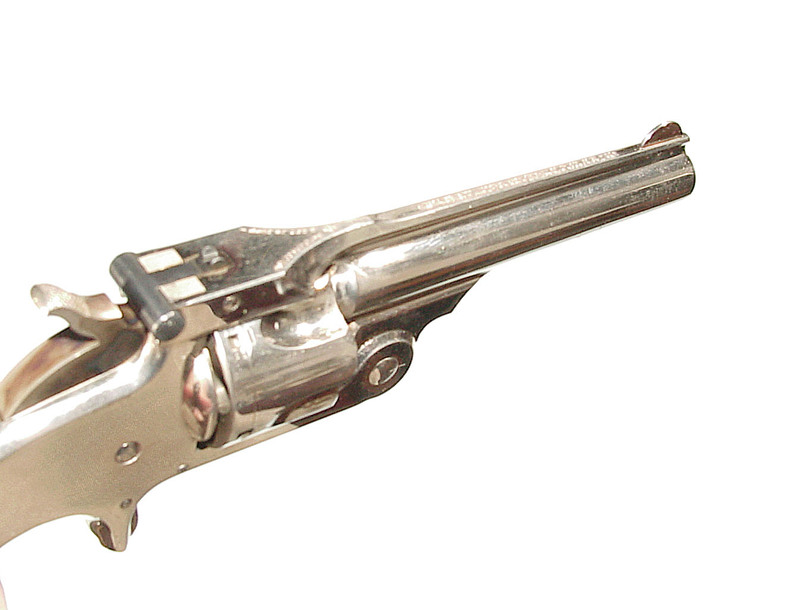 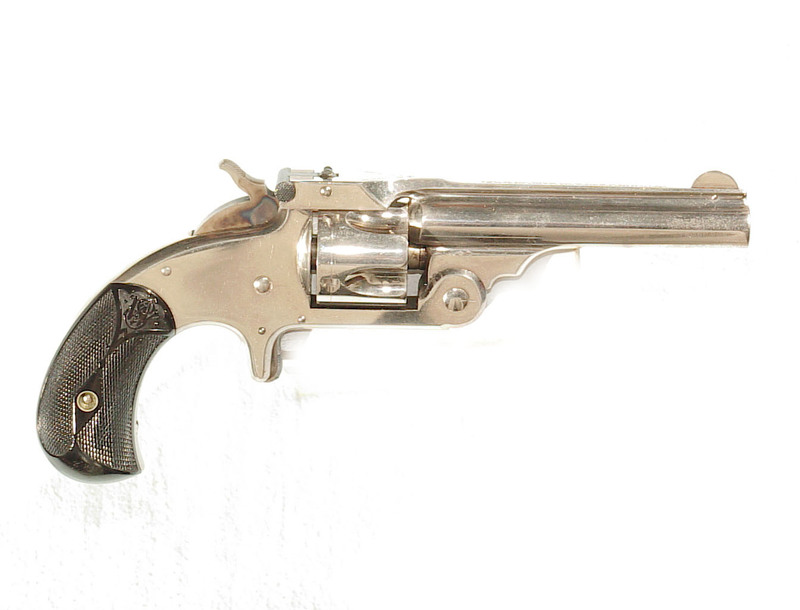 .32 caliber, 3 1/2″ barrel, top break single action finished nickel with casehardened hammer and checkered hardrubber birds head factory grips. 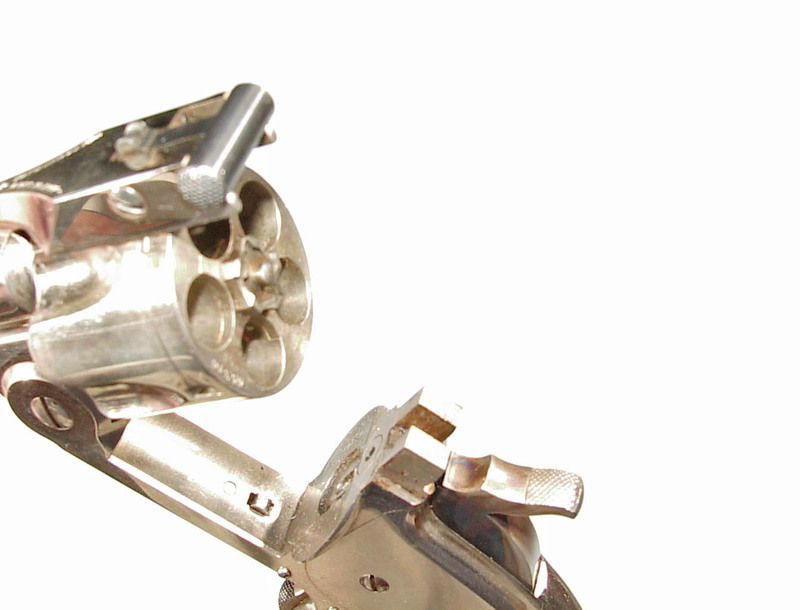 Retaining 98% plus original nickel, excellent grips and mint bore. 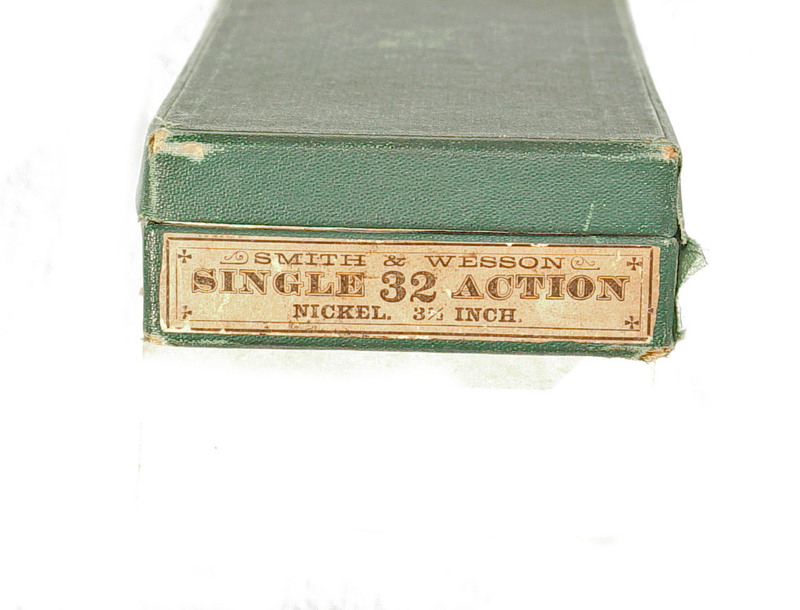 In it’s original box with excellent end label.